In addition to the scientific program, social events are a great way to meet colleagues and share experiences at informal occasions in a relaxing atmosphere. During Measuring Behavior 2008 there were several social events. 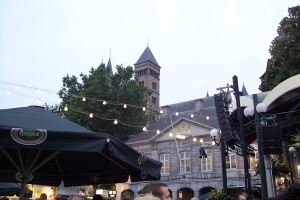 The welcome reception took place at the Maastricht City Hall in the city centre. 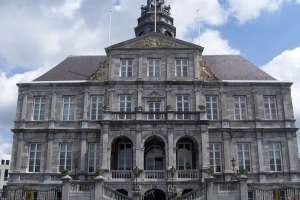 We were cordially welcomed by the mayor of Maastricht, mayor Leers. 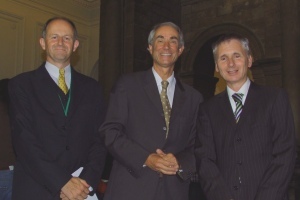 Dr. Lucas Noldus (director of Noldus Information Technology), Gert Leers (mayor of Maastricht), and Professor Harry Steinbusch (conference chair) at the Maastricht City Hall. 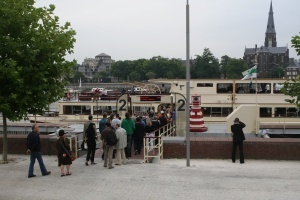 On board of the luxurious MPS Ship "Geulvallei" for a cruise on the river Maas and the Albert canal, participants could enjoy a four-hour boat tour that went by attractive sights like the St. Pietersberg (famous for its chalk hills and caves) and the famous "Stop of Ternaaien". 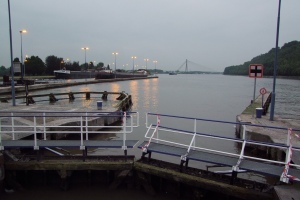 This sluice is famous for a reason: in only five minutes it dams up the water and the ship an imposing 15 meters, from the river Maas to the higher Albert canal! 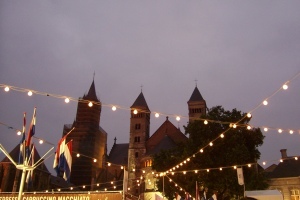 A musical and culinary festival in the Maastricht city centre that was highly appreciated by many of the conference participants! The word Preuvenemint is a contraction of the Maastricht words 'preuve' (to taste) and 'evenemint' (event). Time to say goodbye, evaluate the conference, and exchange final contact information with your colleagues during a farewell drink.